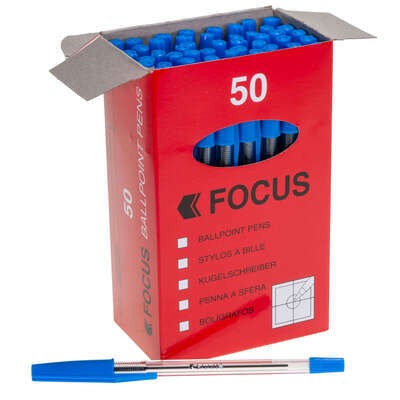 An essential in any environment, our Medium Ballpoint Pen comes in an economic and handy pack of 50. 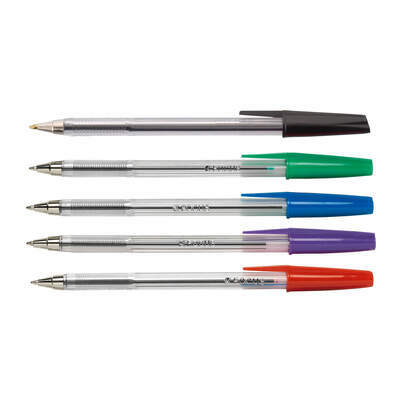 Designed to give a high performance finish, each one boasts a clear barrel allowing you to monitor the ink left within. The rubber grip prevent slipping while also cushioning during use with a push down lid that prevents ink spillage or accidental marks. 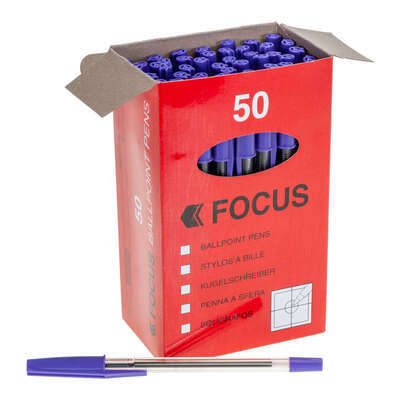 Designed for use on everything from paper to card, this economical pack of ballpoint pen is ideal for big classes, office boardrooms or your shared stationery cupboard. 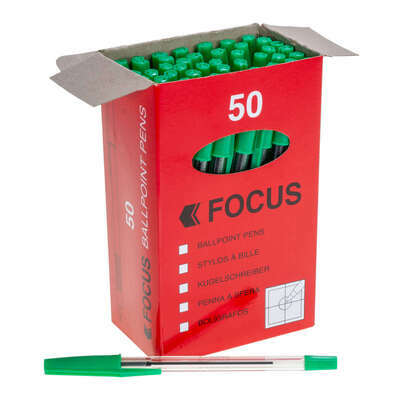 Our Stationery category is packed with a range of items from Glue Sticks through to Permanent Markers and A4 Refill Pads. All our items are available to purchase online for exceptional wholesale prices.